Are you in arrears in your mortgage payments or in danger of having your house repossessed during 2014? worked well in the US over the last few years. mortgage repayments of say, € 1,500 per month. quarter of the mortgage value back to the bank and, in return, your mortgage is reduced to the level of mortgage repayments that you can afford to pay. You then continue to pay the reduced monthly repayments until the revised mortgage amount is fully paid off. 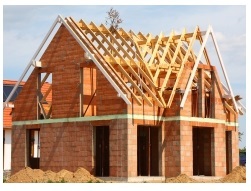 Although you now only own 3/4 of your house, with the bank or lending institution owning the remaining 1/4, the debt for equity arrangement allows you to stay in your house for as long as you want, or alternatively you can sell your house (hopefully the housing market will have recovered by then) and keep 3/4 of the sale price. Another option is that a family member can buy out the mortgage lenders' equity interest. If you decide to sell your house before your mortgage is fully paid off, under the debt for equity plan you are allowed to sell, but the mortgage lender will be entitled to their 1/4 of the value of the house plus the balance of the mortgage not yet repaid. 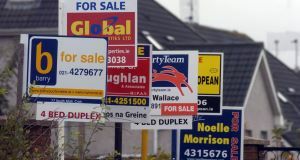 This plan faces legal clarifications and possible law reform before it could be fully implemented, but it does offer some hope for all parties involved in the ongoing mortgage crisis. This summary is based on a recent article in the Sunday Business Post. 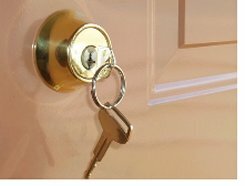 IrishHouses.ie and its associated websites, PropertyRegister.ie are personal property blogs, providing free information of a general nature on house related costs and charges to property owners. Our websites have no connection of any kind with any commercial businesses or public bodies.